Chrysoula Manika was born in Athens in 1981. She studied Tourism management at the TEI of Athens. She then decided to go to Edinburgh Scotland to do her dissertation on Scottish Whiskey and how it affects the Scottish Tourism. At the same time she worked in a hotel in Edinburgh. She then spent another year working in Costumer Service in Oxford England while exploring the English countryside. The last 8 years she has been working in the Marketing department of a newspaper. She enjoys traveling, reading crime books and exploring every corner of Greece. 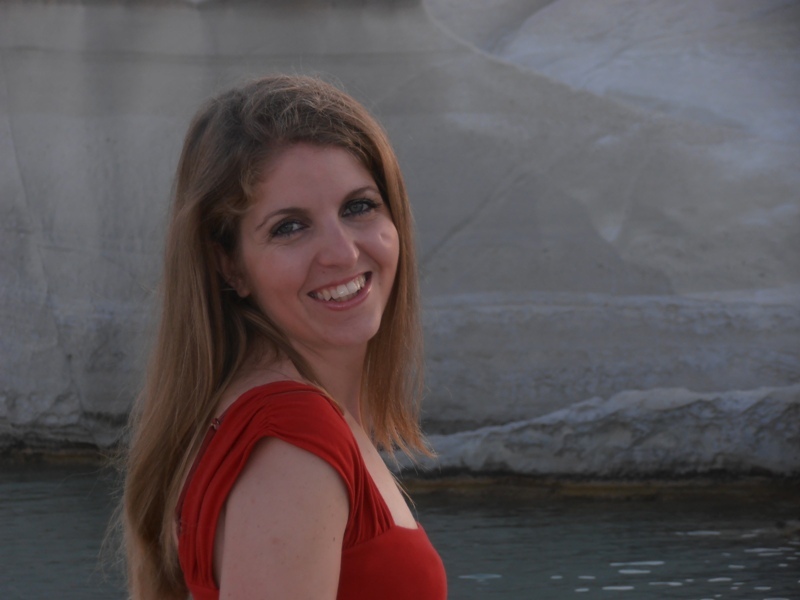 CM: My blog focuses on my passion for discovering the world and especially Greece through the eyes of a local. It helps people to travel while maintaining a 9-5 job. CM: To tell you the truth my friends gave me the idea because they knew how much I enjoy traveling and also I was always the first person to come for advice for their travels. Although I blog only for two months it’s something that makes me feel very creative and happy. CM: Greece is a very beautiful country with a lot of diversity. It has nice cities, beautiful islands, picturesque villages, culture, great food and friendly people. I am proud of my country and I want people to get to know it better. TBG:Give us one travel tip for those who have not traveled to Greece yet. CM: Include in your itinerary some destinations in mainland like Meteora, Pilio and Mani. CM: I am a new travel blogger but what I figured out so far is that you have to be patient and not give up easily. CM: I would like very much to visit Skopelos. It fell in love with the island from the movie Mama Mia and I wanted to go ever since. About the world I would like very much to visit Malaysia for its beautiful beaches and Borneo jungle. CM: London for its ambience, museums and shops. In Greece I will choose Crete. It’s a place I have been visiting from my childhood. CM: In my dinner I would invite Agatha Christie (my favourite author), Robbie Williams (my favourite singer), Martin Scorsese, Robert Downey Junior and ……..Chuck Norris! That would be a lot of fun.